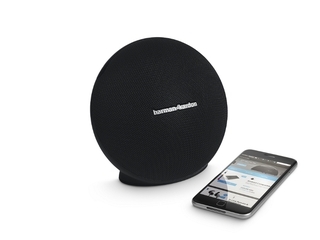 IFA 2016, BERLIN – HARMAN International Industries, Incorporated (NYSE:HAR), the premier connected technologies company for automotive, consumer and enterprise markets, today announced the launch of the Harman Kardon ONYX MINI at IFA 2016. The ONYX MINI is a sophisticated wireless Bluetooth speaker, designed for audiophiles who demand the ultimate in sleek design and robust acoustics. The ONYX MINI, a full-feature wireless speaker crafted with premium materials, radiates Harman Kardon iconic sound and design qualities. Its compact silhouette and powerful sound makes it a perfect accessory for anywhere in the home. With the ONYX MINI, music aficionados can connect wirelessly with another Harman Kardon Dual Sound enabled speaker to double the sound output. 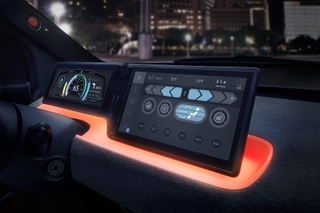 Users also have the ability to connect up to three smart devices to truly elevate the user experience for all involved. With its 10-hour battery life, listeners are able to enjoy their favorite songs on the new ONYX MINI from dawn ‘til dusk. 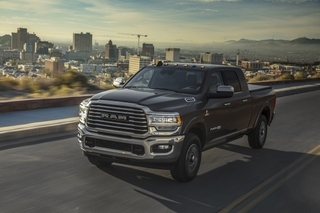 In addition, its built-in microphone and echo- and noise-cancellation features provide an ideal scenario for phone and conference calls with utmost clarity. Microphone Conferencing System: HARMAN noise and echo cancelling technology delivers crystal clear conference calls. 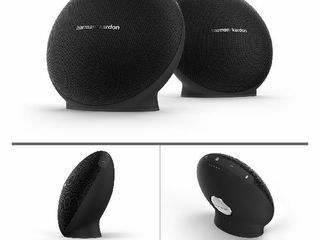 The Harman Kardon ONYX MINI is available in black, white, burgundy, blue and grey for €149,- at harmankardon.com and select retailers from October 2016.